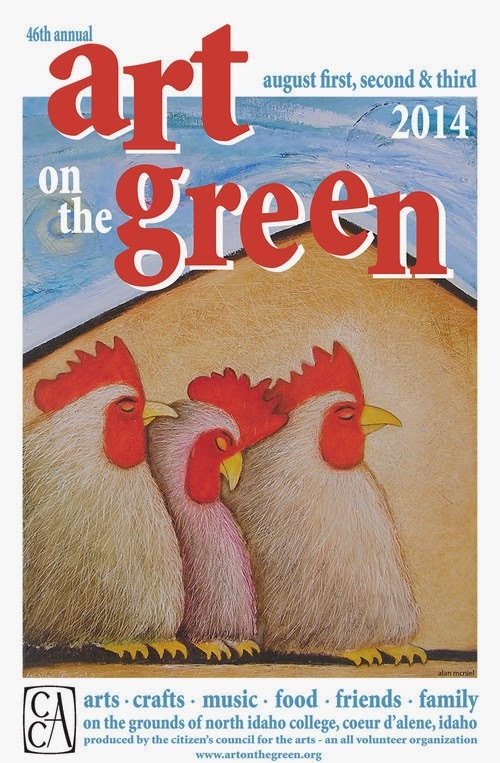 This coming Sunday, August 3, The Portatos will be performing at Cour d'Alene's Art On The Green! We are super excited and honored to be one of the performers this year and we want to invite you. WHEN: Sunday, August 3 at 11:30 am. WHERE: North Idaho College, the North Stage. What can you expect? A full hour of fun entertainment and quality music, such as: Surfin' USA, James Bond, and more! There will also be some special guests and solos. Thank you for visiting the Portatos! We always love hearing from folks, so drop us a note.